Location: Sevenoaks District, Kent, England. Notes: Otford Palace, also known as the Archbishop's Palace, is in Otford, an English village and civil parish in the Sevenoaks District of Kent. The village is located on the River Darent, flowing north down its valley from its source on the North Downs. The name is a contraction of Otterford, possibly derived from Offa, the King of Mercia who fought a battle at Otford against the Kentish Saxons in 776 at the Battle of Otford. From those times until 1537, the palace was one of the chain of houses belonging to the archbishops of Canterbury. 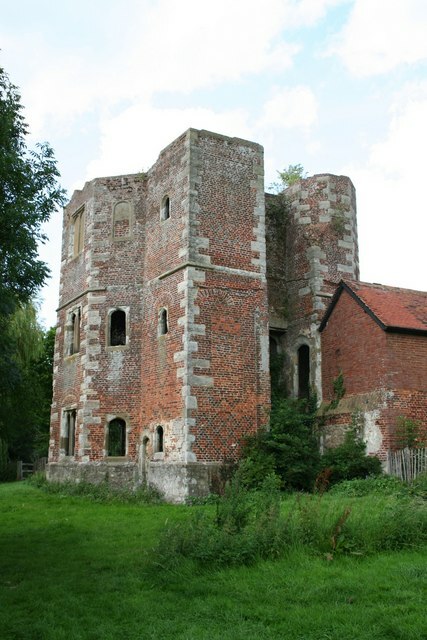 It was rebuilt around 1515 by Archbishop Warham to rival that of Cardinal Wolsey at Hampton Court. Henry VIII forced Archbishop Thomas Cranmer to surrender the palace in 1537. When Henry died the palace fell into ruin. The principal surviving remains are the North-West Tower, the lower gallery, now converted to cottages, and a part of the Great Gatehouse. There are further remains on private land, and a section of the boundary wall can be seen in Bubblestone Road. The entire site, of about 4 acres (1.6 ha) is designated as an ancient monument. There are many related buildings in the village, including a wall in St Bartholomew's Church dating from c. 1050.